Running In Sanity: Don't Forget! 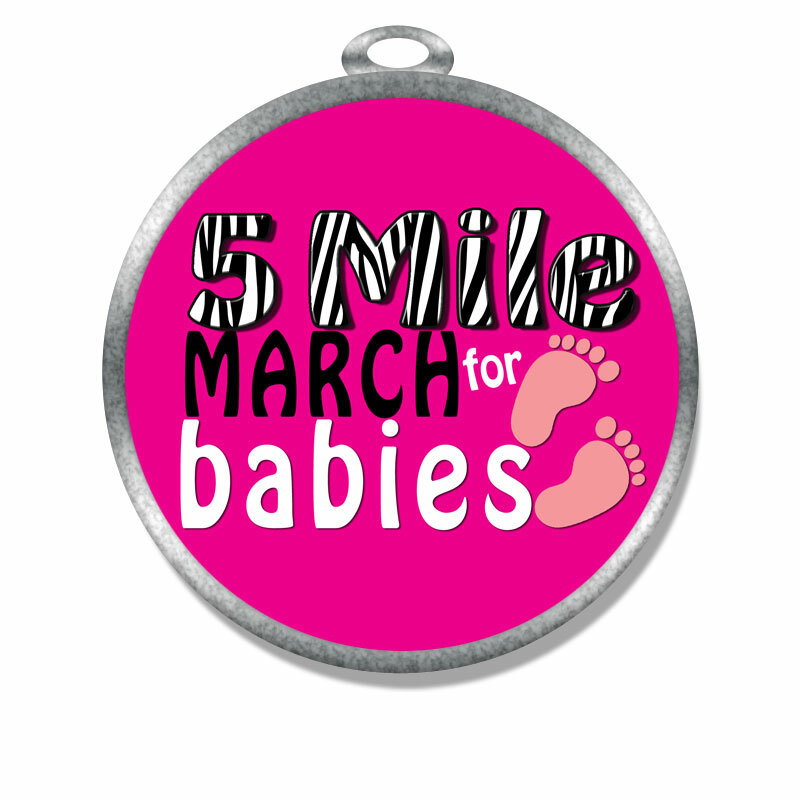 The deadline to register for the 5 Mile March for Babies is coming up! We will close registration on March 31 to make sure that we can order the medals and have them to you (if you are in the US) by race day. The registration for this race is $20 if you want just the race/medal option. Registration is $26 if you would like the race/medal/zebra Happy Band option. There is also a Happy Band only option- $8. 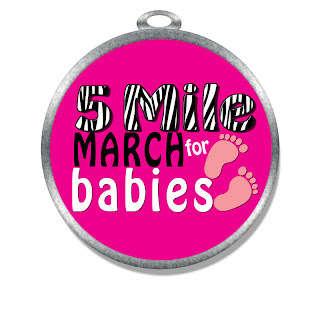 All of the proceeds from this race will go to the March of Dimes. I am very happy to be fundraising as a part of the Rockin' Moms Walkin' Family team. We have a great team and our goal is to raise $12,000 this year. Our team will be walking on April 28, that is also the date we have chosen for the virtual race. You can run or walk or do a combo of both. Also, you can do it any time around the 28th- remember the best part of a virtual race- it's on your time! Would you be interested in hosting a Scentsy fundraiser? I would donate 100% of my commission towards your $12,000 March of Dimes goal. Check out my website at http://pattykonis.scentsy.us and email me if interested! Best of luck to you! I'm traing to run the Princess Half next Feb!